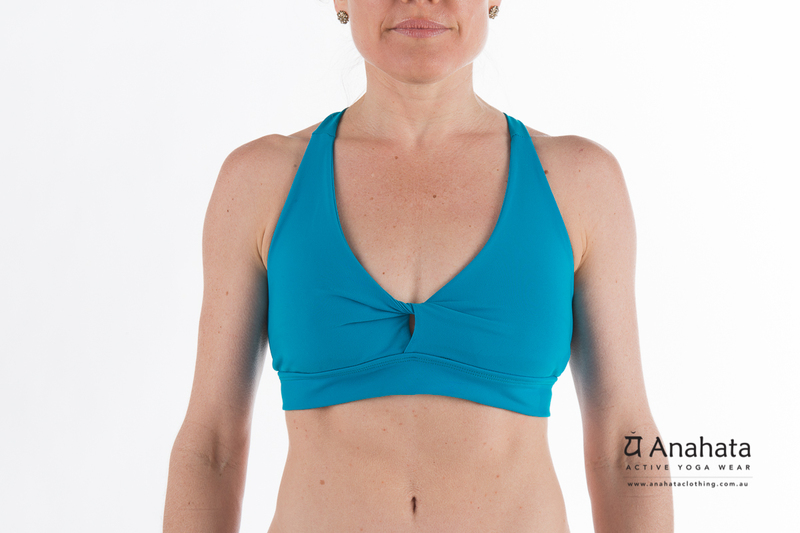 Yoga Bra top, styled to enhance, support & still let you move to your max. Deep V twist front flatters. The under bust band offers plenty of support. While the wide soft straps keep you in place and in comfort.